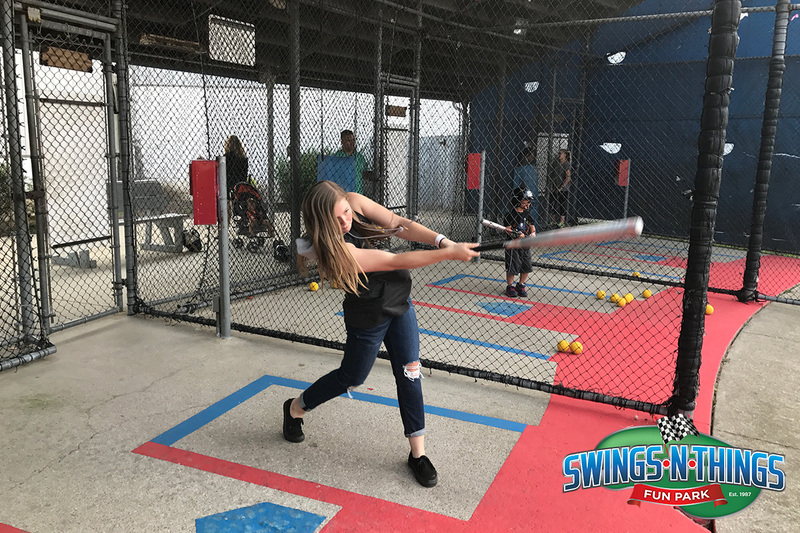 You can hit all day, any speed for one low price! 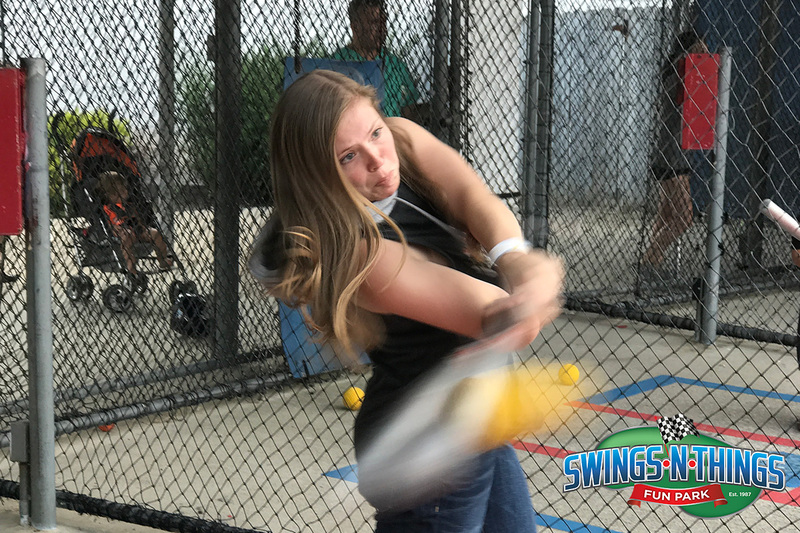 Bring Your Team! 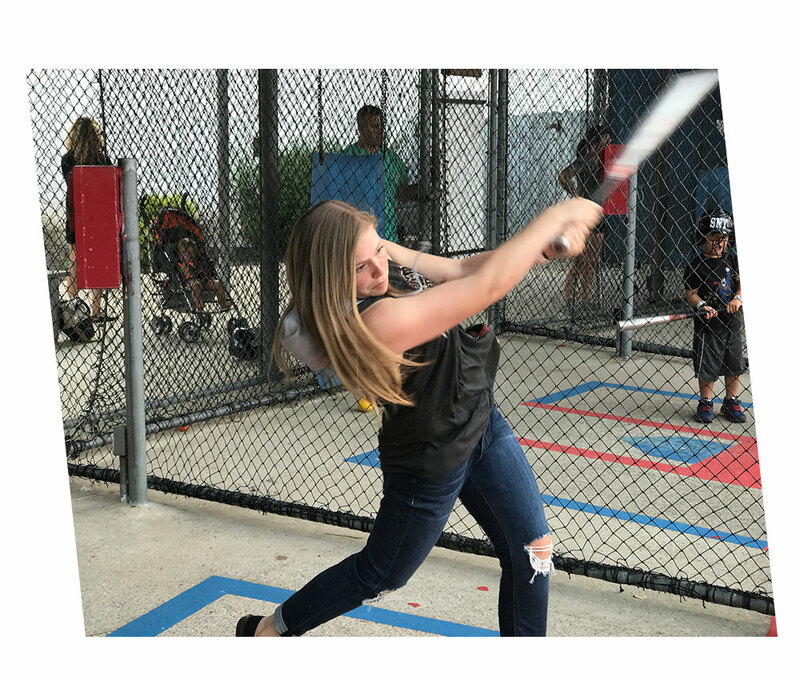 Batting Cage Rentals are available! 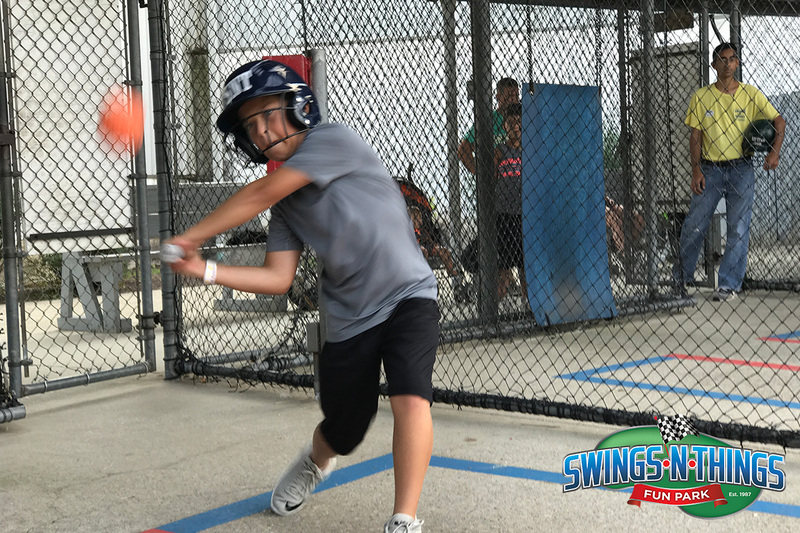 Play Swings-N-Things One-On-One Hitting Challenge! 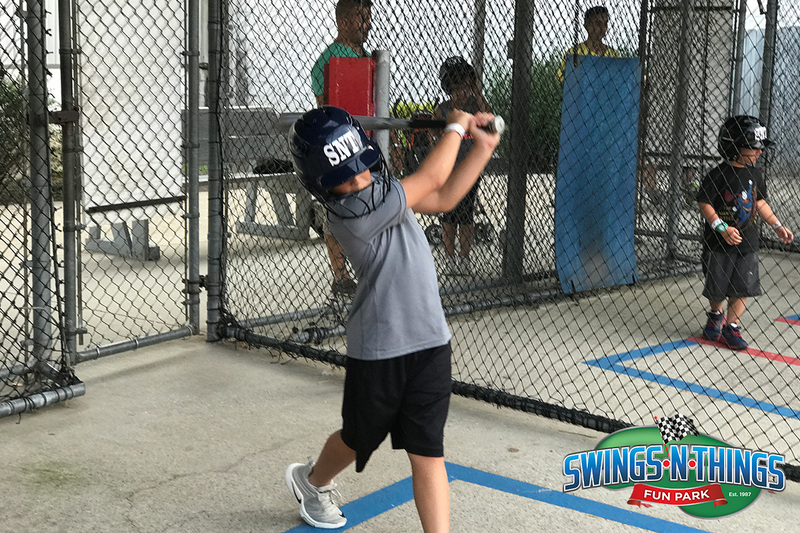 Make Batting practice fun with Swings-N-Things Hitting Challenge! 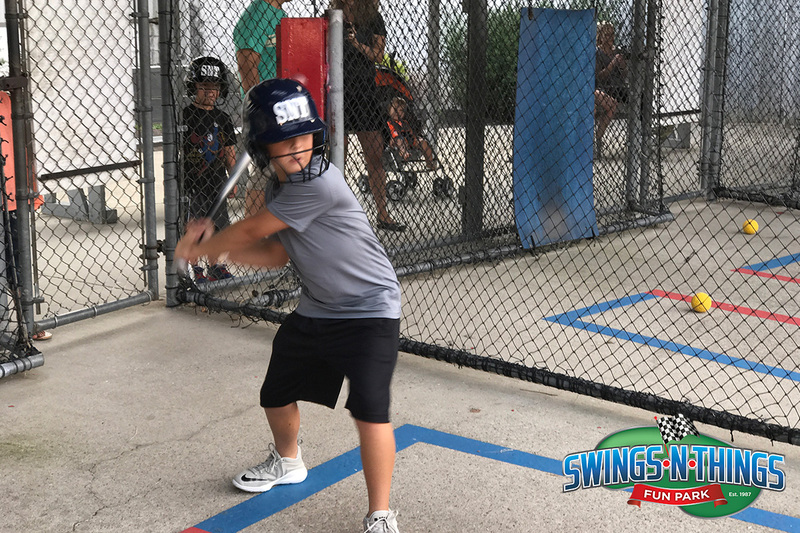 It’s a great game to play when using the batting cages at SNT – and best of all it’s FREE to play. 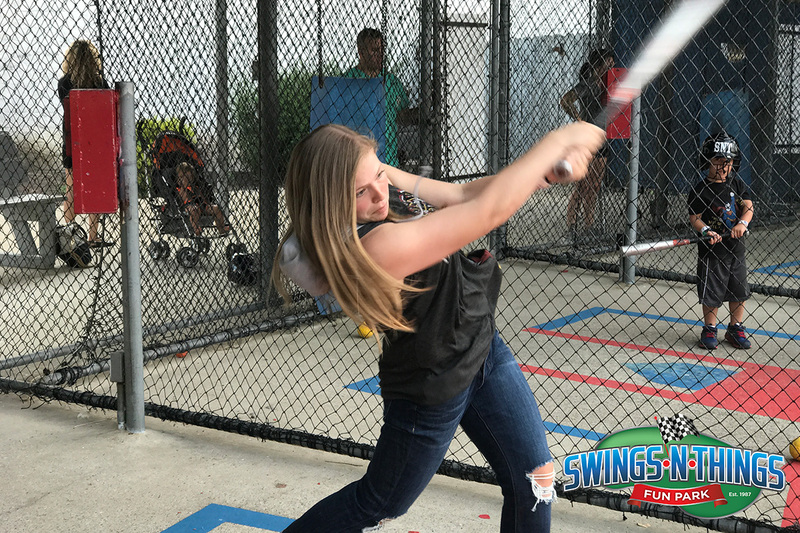 Choose any pitching machine you want – baseball or softball. 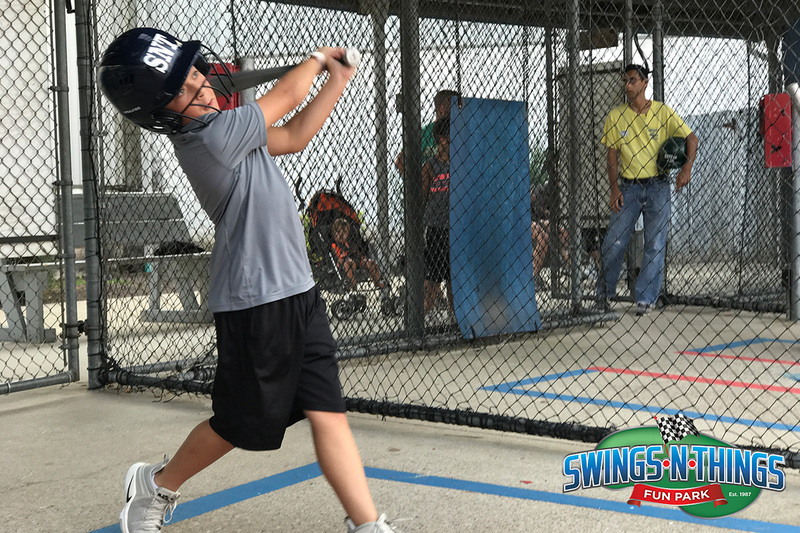 Players may hit against the same machine OR handicap the more experienced player & have one player hit vs. a faster machine! One round of pitches constitutes one inning. Runners (imaginary) on base advance one base on a single, two bases on a double, etc. Any ball hitting top net or concrete first is dead (0). 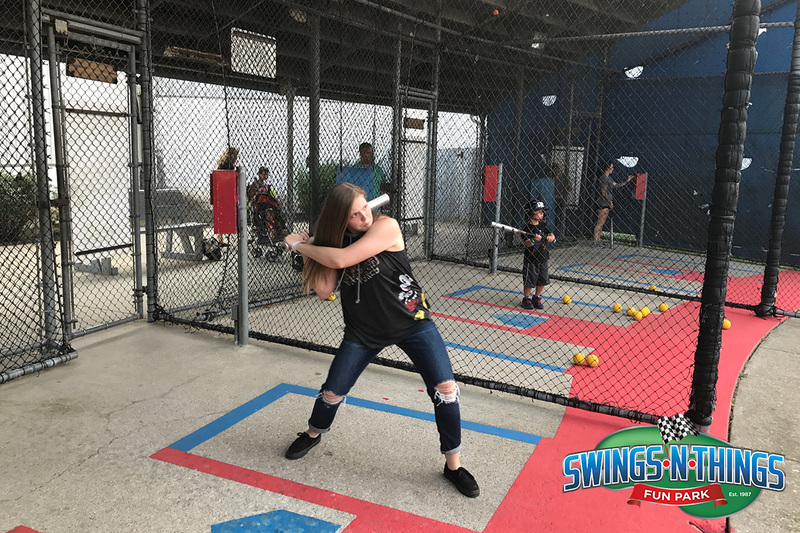 Any pitch taken (whether a strike or ball), swung and missed or fouled off is dead (0). Runners advance and score only on hits. 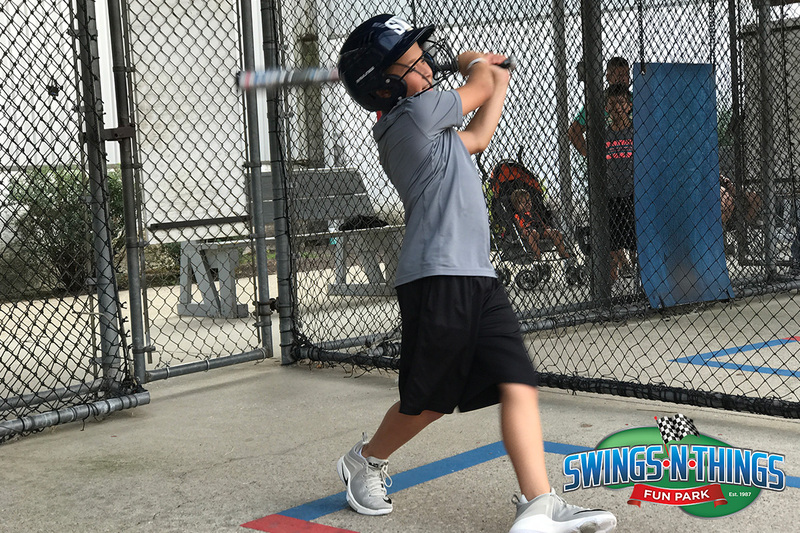 Play as many or as few innings as you wish to make-up your game. Player with the most runs scored at the end of the game wins. 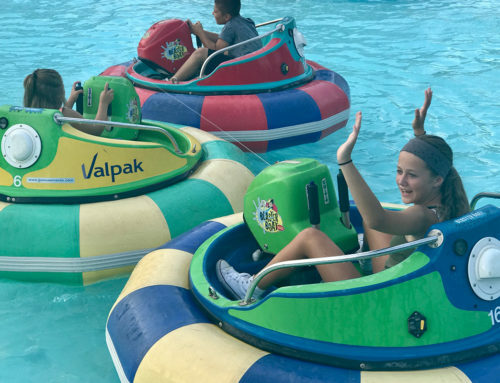 NO CHARGE for Scorecards or game – just use tokens or your wristband to play! 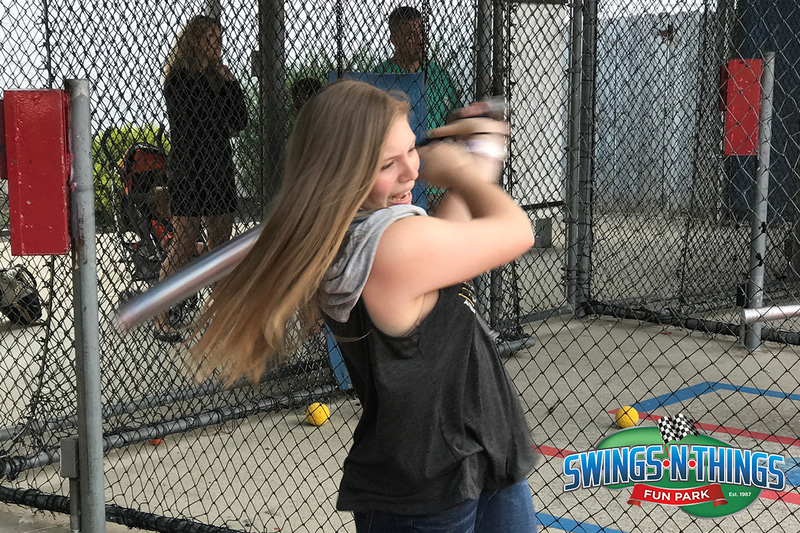 Make-up your own Hitting League – or just have fun with it!